The original, pretty newly released, game is totally giggle worthy and old-schoolicious. 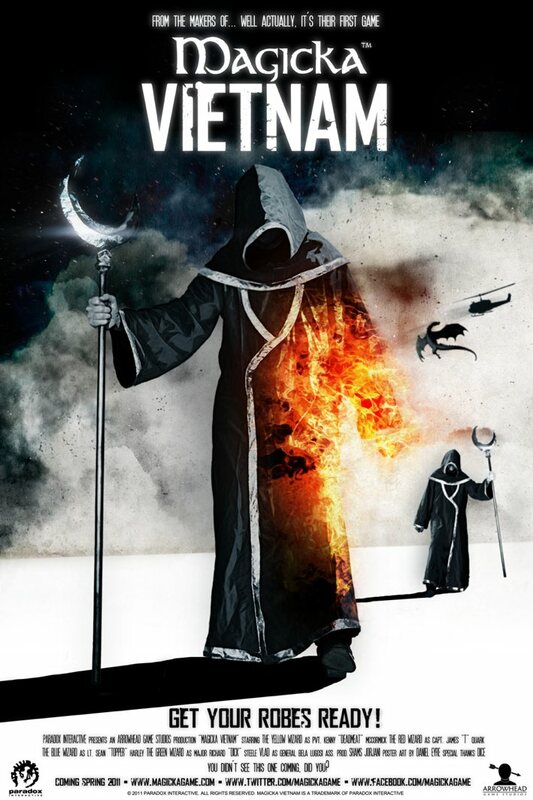 I think ArrowHead just took it to a whole new level though, announcing their first expansion Magicka: Vietnam. Kudos for the Battle Field styled poster and the credit line in the lower right corner. View the launch trailer here.